Update 10/05/2018: The Family Opportunity Mortgage is now only available for children wanting to provide housing for parents and Parents or legal guardian wanting to provide housing for their handicapped or disabled adult child at 10% down. Although youngsters entering college for the first time may seem a world apart from the average elderly citizen, these two groups have a very important common trait; the need for adequate housing. For many years young people have rented the absolute cheapest place possible to save on expenses that were devoted to college expenses. At the same time, many older people find themselves in need of downsizing their home or even selling their beloved property in order to devote more funds to basic living costs and medical bills at a time when their income has been drastically reduced. Thankfully, the Family Opportunity mortgage can assist both of these groups. 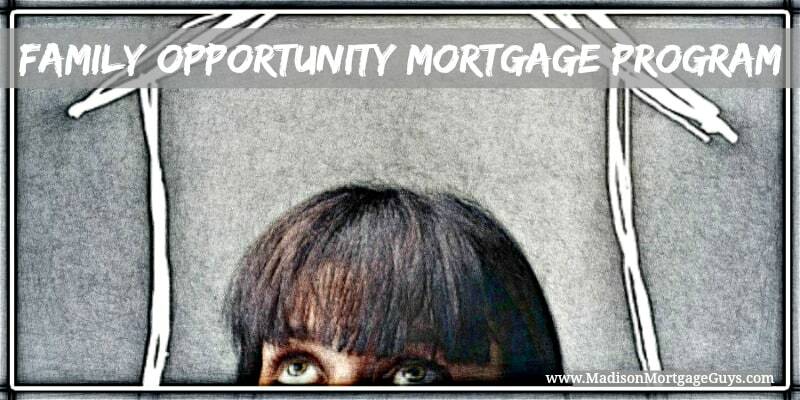 The idea behind the Family Opportunity mortgage is to give qualified people a chance to buy a home for either their children that are in college or their elderly relatives without the requirement to live in the home themselves. Since many families are often scattered many miles away this provides an alternative to renting and gives the purchaser of the property a valuable asset that can be later sold when their needs change. Here are the basic criteria for people who wish to buy a home for their college students. The elderly parents are allowed to be a co-borrower on the mortgage, but it is not necessary. The adult child will be the primary focus of the mortgage application. Contact us below or apply online to see if you qualify for the the Family Opportunity Mortgage!